ON THE MOVE. 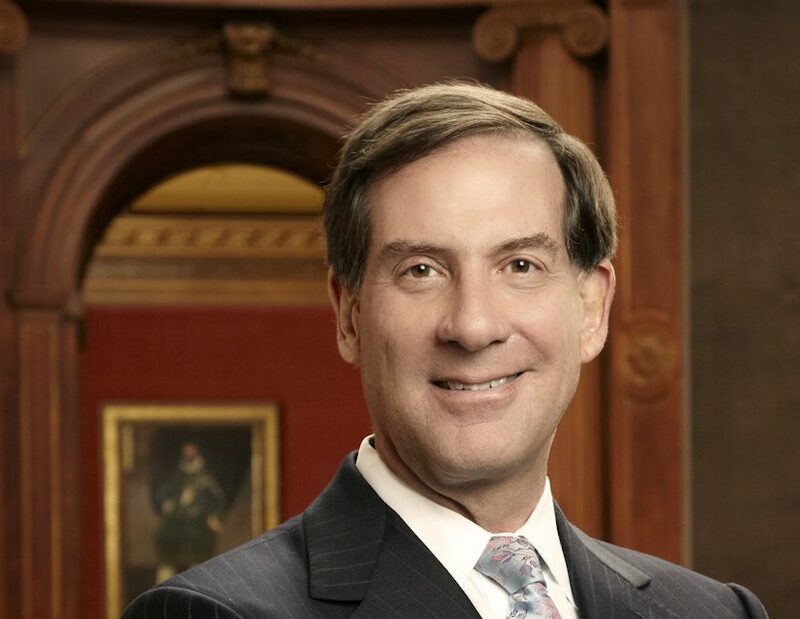 Ian Wardropper is the Director of The Frick Collection in New York. Internationally recognised as a premier museum and research centre, the Frick is known for its distinguished Old Master paintings and outstanding examples of European sculpture and decorative arts. Since how long are you the Director at The Frick Collection? For seven years. 2011 is when I started, and I was at the Metropolitan Museum for ten years before that, where I was the Chairman of the European Sculpture and Decorative Arts. For twenty years before that I was at the Art Institute of Chicago, and was head of the department of European Decorative Arts and Sculpture and Ancient Art; from Ancient Egypt, through the Middle Ages and the Renaissance, up to the present. What has been your experience at the Frick? I moved from being a curator to being a director, which was far more traumatic a change than I imagined in the sense that I had to learn an entirely new profession, how to direct rather than curate, which I found challenging and really interesting. How to run a museum, as opposed to be a scholar and a professional in a museum. The big questions are: What should be our direction? Where should we go? What kinds of activities should we pursue? The Frick is a highly defined institution that is limited to European art from 1500 to 1900, but what I love about the Frick is that it is also an idea rather than being simply delimited by dates. What is the idea of the Frick? The idea is that it reflects the personality of the founder, Henry Clay Frick, and what interested him: i.e. primarily quality. He really sought the very best works of art that he could find, but like any collector he loved certain things and he had certain blind spots. He loved portraits, he was not interested in nudes, and he was interested in the secular not the religious. Fortunately for us his daughter Helen Clay Frick had a broader range of tastes, and she was interested in early Italian pictures like Duccio di Buoninsegna and Piero della Francesca, and collected them for the institution at the same quality as her father. It was an exception that her father bought the great Giovanni Bellini St Francis in the Desert. 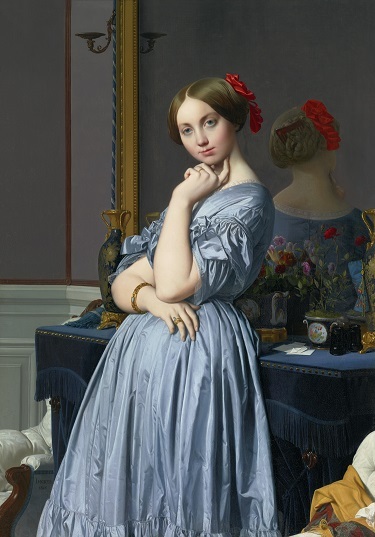 Helen was an interesting woman and as her father’s daughter felt she could continue to add to the collection, and she spread it out in directions that her father hadn’t pursued, early Italian pictures from the era of Duccio, and the great Jean-Auguste-Dominique Ingres portrait of the Comtesse d’Haussonville. She allowed the collection to expand. What is the story of the Fricks? Henry comes from a relatively poor background in Western Pennsylvania. He has the perspicacity but also the luck to recognise the importance of coke, a derivative of coal. He builds a monopoly of the best coke in the world and goes into business with Andrew Carnegie, who has an iron and steel production, so the two of them become enormously wealthy. Frick collects modestly from the time he was 20, and as he has more money he collects contemporary American, English and French artists who he knows personally. That’s his first major collection, which he keeps in Pittsburgh. Then Frick and Carnegie have a falling out and Frick moves to New York around 1900. He has been collecting for 30 years and begins to focus on Old Master paintings. He makes an effort to collect the very best, and he succeeds, for example with Rembrandt and Goya. He starts building this mansion located between 70th and 71st Street and Fifth Avenue on the Upper East Side; and when the house is finished in 1912 he realises he needs to furnish it at the same level of quality as the paintings. He buys Italian renaissance cassoni and great French 18th century André-Charles Boulle furniture. People forget that in the Frick there are some of the greatest decorative arts anywhere in the world. It is really part of the character. It is not just the paintings on the walls that define the Frick, but it is the ensemble in each room that creates the atmosphere, down to the carpets on the floor and the porcelain around the room. The idea of the Frick is not organised chronologically, but around the feeling of a room, whether it’s a living room, a dining room or a library; and that’s the pleasure of the Frick. It’s not didactic, but it is an institution that encourages you to have a sensual or visual response to the works of art in the room where you are, to slow down and take time. It really is a house and not a museum? It is both. Frick would go downstairs from the upstairs private quarters and bedrooms and enjoy the works of art that he had collected. He wanted it to be open to “all persons whomsoever” when he died, and he wanted to encourage the study of the fine arts. His daughter followed through on that by creating one of the top five specialist art reference libraries in the world. It’s unique in that it’s free and open to the public, and at the moment maybe 7,000 people a year use it onsite, but it is making its resources available digitally more and more, in order to become a more widely used scholarly resource with a global audience, so our impact is much wider, in fact. How many visitors come in a year? 300,000, which is not huge by New York standards; many days it doesn’t feel crowded, and people can take their time looking at works of art or simply enjoy the pleasure of being in the house. Do more people come when you have exhibitions? Yes, but we do not do the exhibitions to get more people to come. We do smaller, more focussed exhibitions that relate to the permanent collection and give our visitors a deeper understanding of the works that we have here. The Charterhouse of Bruges exhibition just opened and focuses on our Jan van Eyck painting. 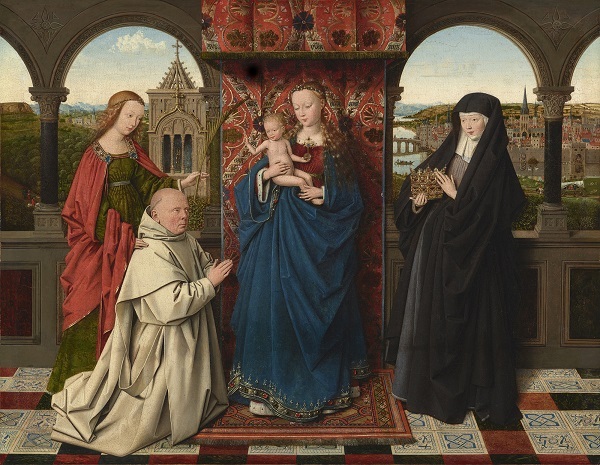 It’s a small exhibition with only ten works of art in it, and the show focuses on the patronage of Jan Vos, who was the Prior of the Charterhouse of Bruges, who commissioned works from Jan van Eyck and Petrus Christus and others. The show looks at Jan van Eyck and Petrus Christus and the different functions that these works of art had in the monastery. How many exhibitions do you put on a year? Five or six a year. I am very proud of our exhibitions. They are focussed, but also make a contribution to the history of art. The next one is on Luigi Valadier, one of the great designers and decorative artists of the 18th century. He was an Italian who lived in Rome who is not very well known in America and has never been the subject of a major exhibition. We have commissioned the great expert Alvar González-Palacios to write a book on Luigi Validier, which is the basis of this exhibition that will then go to Rome to the Borghese Gallery. 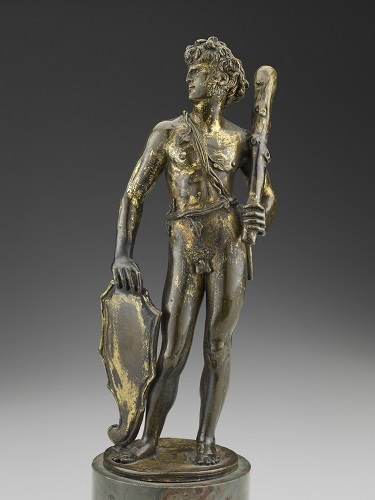 We are doing exhibitions on subjects that have not had the attention they deserve; great decorative artists, and we also have a series on bronze sculptures of the Renaissance. Our major exhibition for the fall of 2019 is Bertoldo di Giovanni, a sculptor who trained with Donatello and was a mentor for Michelangelo. These are not blockbuster exhibitions, but are very interesting and make genuine scholarly contributions to knowledge about these artists. What changes are you going to make? Our collection has grown, more than doubled since we opened to the public in 1935, so we need some more room to show it. We have added almost no new display space since 1935, so I am proposing to open up much of the second floor, including my office, as a place to show more of the collection. At the moment we don’t have enough space to show these exhibitions without taking down some of the permanent collection. I’d like to build an exhibitions hall on the first floor, where we currently have the music room. Are you going to create a new building? What we are creating is within the old building. The architect is Annabelle Selldorf. We need not only more space but also to make a public physical connection from the museum to the library whose entrance is on 71st Street around the corner. We need a slightly bigger auditorium with better acoustics for the people who want to come to our lectures, and we need to prepare the library for the future and it needs more space for digital work and for people to use its digital resources. For our education programmes we need seminar rooms, and we need more bathrooms and larger cloakrooms for our visitors. So people don’t have to stand outside in the rain waiting to get in we will have a bigger reception hall. We also very much want to upgrade access for all visitors, including those with disabilities. Finally, we are one hundred years old and we need to replace our leaking skylights and improve our temperature and humidity systems in order to preserve the collections. When do you start this work? We start in the middle of 2020 and will finish in 2022. Will you close during these two years? Yes, here on 5th Avenue. Almost immediately we will reopen a temporary display in the former Whitney building on Madison Avenue, just five blocks from here. It will be very interesting to see what the collection will look like in that Marcel Breuer building of the 1960s in a brutalist style, the severe uncompromising architecture of that period. It also allows us temporarily to organise and display the collection in different orders and juxtapositions to the way we do here. It’s a brief period of laboratory. It’s also a great opportunity that you do not have to close? Yes, and it keeps our connection to our members and other interested people open. We will be very busy preparing to come back into this house, and we have a small staff so I will see how much we can do, but it would be a shame not to do exhibitions there. A total of 200 fulltime people, including the library staff who make up quite a large proportion. Isn’t all this very challenging for you? It’s the kind of thing directors need to do! Make a new design, raise the money to do it, get everyone behind the project. We have to raise a lot of money. The board of trustees has been very generous, and I am actively pursuing the rest of it from various sources. Who does the Frick look to for money? 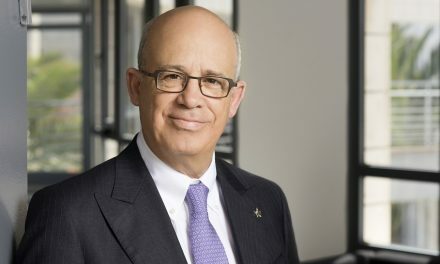 Outside of the board, it is to the city, to foundations, and to other friends of the Frick who are not trustees but they are donors to the Frick. Nearly 40% of our visitors are foreign tourists in town. We are quite well known in Europe, but we could always be better known. The rest are from the United States and from New York. I’d say we are fairly well known, but my job is still to get the Frick better known. It’s a little bit of a well-kept secret. People who do know it love it, but not everybody knows the Frick. But the Frick is physically close to the Metropolitan Museum? Yes, when I was a graduate student here in the 1970s I went to the Institute of Fine Arts which is at 5th Avenue and 78th Street, more or less midway between the Metropolitan Museum and the Frick, and those two museums were the poles of my art historical existence. The Met is encyclopaedic; the Frick is more focussed in the range of its collection. I love the range of the Met where you can learn about everything in the world, and the close examination you can make at the Frick. Does the Frick still buy works of art? We continue to buy, but not very often because we have very high standards. We look for the occasional great work of art that will fit our collections. Mostly we have been expanding by gifts from private collectors. In recent years we have been given a great collection of Meissen porcelain and of Du Paquier, porcelain made in Vienna in the 18th century. We are just about to open an exhibition of the greatest collection of French Faience that will be a bequest and come to us after the death of the collector. 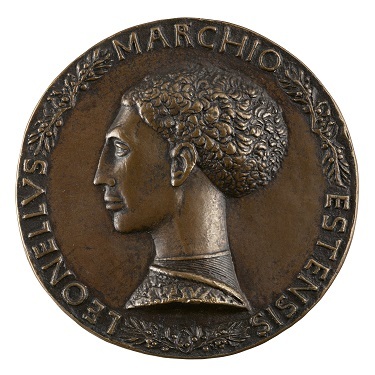 We are also being given a superlative private collection of portrait medals, from Pisanello in the Renaissance through David d’Angers in the 19th century. It belongs to Stephen K. and Janie Woo Scher. We were given a great self-portrait by Murillo. There are only two known self-portraits by Murillo, and the other is in the National Gallery of London, so its Director, Gabriele Finaldi, worked with our Chief Curator Xavier Salomon to put on an exhibition in London called Murillo: The Self-Portraits. What else did you buy since you were here? 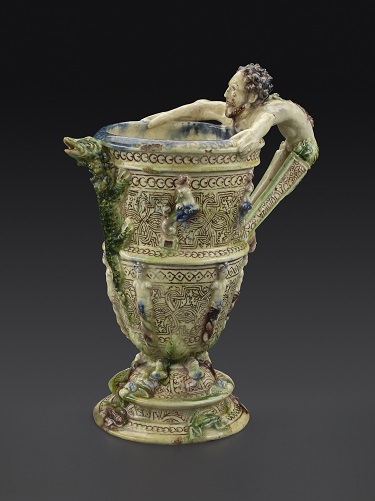 A ewer that is a great piece of Saint-Porchaire, a type of French ceramic probably made between 1540-1560 in a very unusual material; there are only about 50 pieces known in the world. Is your museum a bit like the Poldi Pezzoli in Milan? Yes, and like the Musée Jacquemart-André in Paris, with the character of a private house and a mix of objects from the Renaissance through the 19th century. 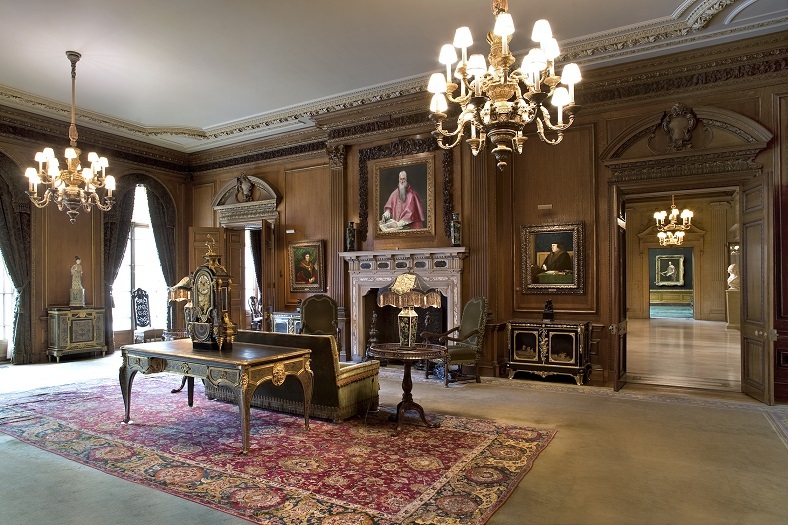 We don’t loan works that Henry Clay Frick bought before he died in 1919. That has meant for example that we could not lend the Rembrandt self-portrait of 1658 to the Rijksmuseum for their Rembrandt exhibition. We do loan later acquisitions, and it’s been very rewarding to see those aspects of our collection (including the Ingres, a Goya portrait, a Constable landscape) experienced by broader publics elsewhere. Likewise, we host shows here that permit our non-lent objects to be seen in a fresh light. To contextualize our Turners, for example, we brought in many harbour scenes from other collections for a show on that theme. It was the first time our major Turners were seen in a show on the artists! No, we are a public museum and subject to the rules of a public charity. We are governed by the rules of being a non-profit institution, like the Metropolitan or MoMA. Do you receive money from New York City? Yes, we get small grants from the City and the State. Who keeps you alive financially? It’s a mix of interest from our endowment, contributions from private people and foundations, and from the tickets that our visitors pay. Henry Clay Frick had great foresight and left $15 million as an endowment to the museum, which was a lot of money in 1919. The endowment has grown to about $340 million and covers about half of our operating expenses of $30 million. Then we have to raise $15 million from ticket sales and contributions from various sources, like the one we received for example from the Foundation for Italian Art and Culture (FIAC) for an exhibition. Do you still write books? Most of my time is spent running the museum or raising money for it or making plans with architects for physical changes, but I do some limited scholarship. I wrote one called Director’s Choice about a small selection of works that I love in The Frick Collection, and I wrote a small book on our Limoges enamels. I give lectures and occasionally I will give a scholarly lecture that will be published as an article. I wish I did more, but I can only do so much. I am a manager, but I am deeply grounded in the history of art, and I try to be sure that this museum reflects scholarship and, in a larger sense, the desire to educate the public. Five, of whom Xavier Salomon is the Chief Curator. 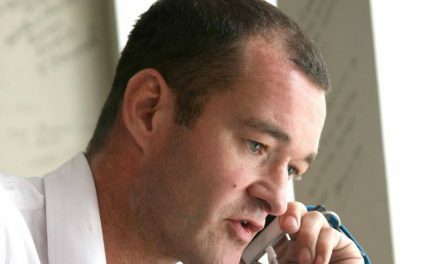 Does he decide what exhibitions you will hold? Yes, and I support him and we talk about his ideas together. I make the final decision whether we will do a show, and he executes it himself or with one of his curators. I have to make the decision whether we can afford it, and I have to raise the money for it. Among the items in your Director’s Choice book did you include only the masterpieces? It was very difficult because the book is part of a series published by Scala in a set format, and can only have 37 works of art in it. I chose what I love, and also a range that reflects the collections, but my knowledge and interests are more in sculpture and the decorative arts than in painting, so perhaps I have more sculpture and decorative arts in this book than another person would have chosen. What icons does the museum have? For a small museum the Frick has many iconic masterpieces. The Holbein portrait of Sir Thomas More, Fragonard’s The Progress of Love…. I have already mentioned the Ingres Comtesse d’Haussonville, one of the greatest paintings of the French 19th century; the two great JMW Turner Harbour scenes. These things are so good; they are at the top of their class in the world. The Bellini St. Francis is at that level; as is the Rembrandt Self-Portrait, one of the greatest Rembrandts anywhere in the world; and the Velazquez King Philip IV of Spain. We have a great Agnolo Bronzino, but other museums have great Bronzinos. We have three great Johannes Vermeers, which is pretty exceptional for a small museum. The quality of our decorative arts is very high, but people don’t remember to look at them. The real icon is the whole collection. Who helped Henry Clay Frick to make his collection so great? 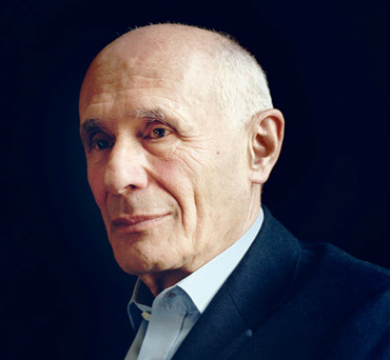 It was when he arrived in New York that he started focussing on Old Masters. He was not highly educated, but loved art from the beginning, and I think he had a good eye. Of course, he had good advice too, mostly through dealers and art historians of the day like Roger Fry. The art dealer Joseph Duveen had a huge role in developing the taste of American millionaires like JP Morgan and Andrew Mellon, who was a friend of Frick, and other collectors like Henry Huntington and Isabella Stewart Gardner. Frick was competing with them all. I have just written an introduction to a book on Duveen’s extraordinary influence on American collecting, particularly on the decorative arts, and between 1880 and 1940. He found the great works of art and persuaded Americans to buy them through various strategies, one of which was to install works of art in houses until the owners fell in love with them. He also had very strong relationships with the interior decorators who would design rooms for the great houses, then Duveen would be there with the French 18th century decorative arts that they needed for the great rooms. Even in those days the objects were at a very high price level, often record prices of the day, but they have continued to hold their value. 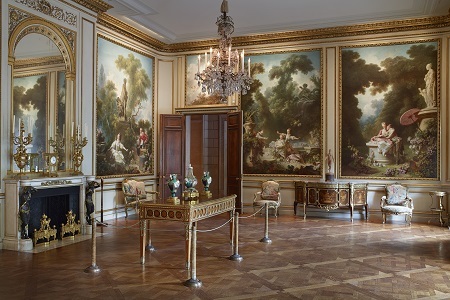 For example, Frick bought the Progress of Love paintings in the Fragonard Room for $1.5 million – I have no idea what they would be worth today, nothing like that has come on the market in fifty years. What do you see that the future holds for the Frick? This moment when we are talking about a physical enhancement of the museum is a time when I think about museums in the future culture of America and internationally. It is important that we have museums like this one in the future, museums that represent a moment of taste and a sense of excellence in the quality of our collections and in everything that we do, whether it’s exhibitions or lectures. It’s a small institution that aspires to a great sense of quality, and retains a sense of personality. Personality is really important. All images are ©The Frick Collection; photo: Michael Bodycomb.